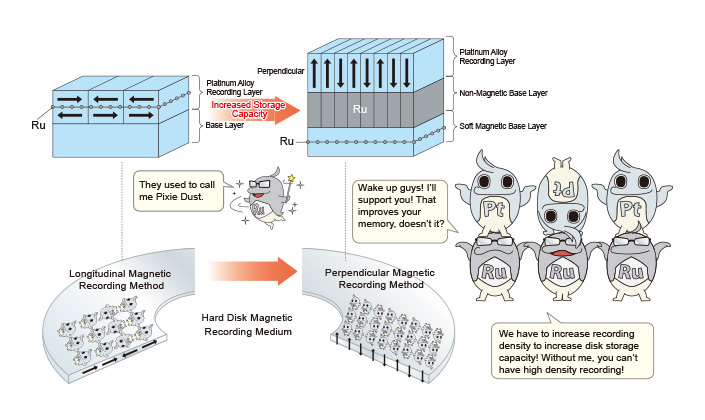 To increase hard disk storage, the density of magnetic signals in the planar direction used to be increased. When density increased too much though, data storage stability suffered. As a solution, magnetic storage signals were applied perpendicularly to further increase storage density. A base layer of ruthenium under the recording layer was an essential development towards the success of this perpendicular magnetic recording method.